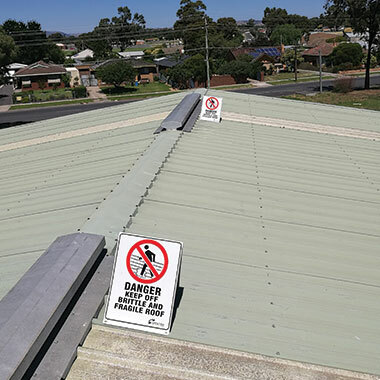 Supply and installation of Industry Best Single person use Anchor points, from surface mounted low profile models through to purlin mount and Rope Access anchor points. WHAS will implement the best system design to suit the task required, considering the safest means of initial access before reaching the anchor point system. The internal access and its related design is the facilities primary point of access and WHAS will ensure that the functionality and discretion of the placement is practical and fully compliant. 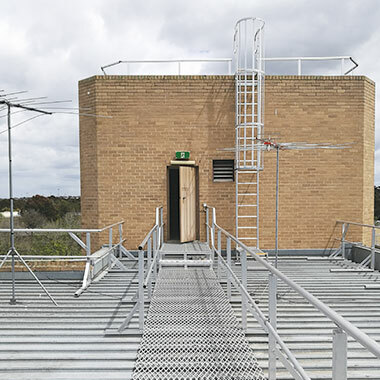 An integral part of the facilities access system is the initial point of exterior access. It is critical where this resource is placed within the system design. Many falls occur at this point, before the Anchor Point system is even reached. 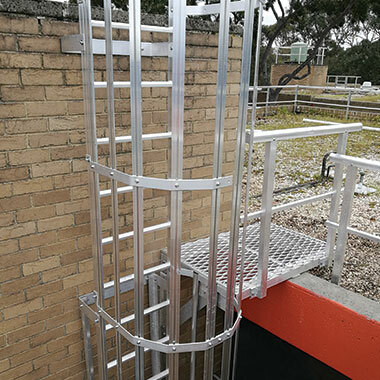 WHAS will supply and design all types of initial access platforms, custom applications to higher level access areas including guarded headway access points allowing the user to make a safe transition beyond the 2.0m seclusion zone. WHAS can design and custom fabricate to suit any structural application for all types of A/C access as well as roof access platforms. 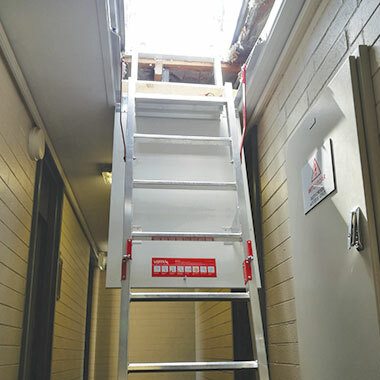 Fixed access ladders will be specifically designed to suit each individual facility and keep in mind the path of access and the intended maintenance tasks. Ultimately our designs will enable the user to reach the exact areas required to safely perform the work tasks without unnecessarily accessing areas that don’t need accessing. Risk elimination is the key! Walkways serve as an excellent pathway and will help eliminate slips, trips and falls. 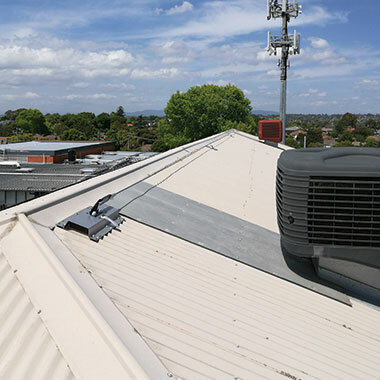 These systems can also help to protect heavy roof traffic areas, which will in turn minimise roof leaks and damage to internal assets. 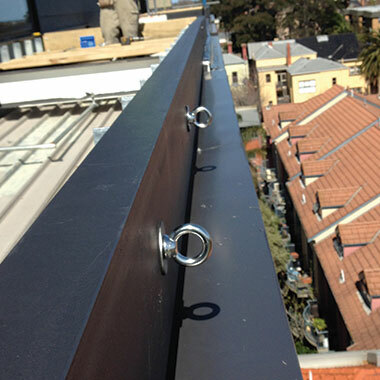 Our guardrail systems are the highest level of edge and fall protection and are designed with aesthetics in mind. 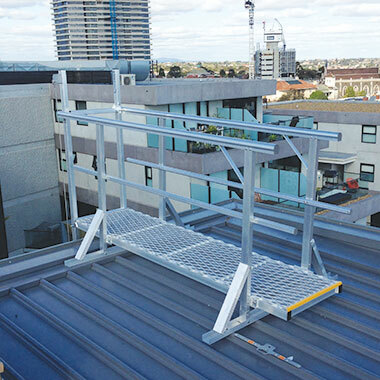 Horizontal Static Safety Lines are a practical and safe way to access larger roof areas allowing multiple users to access along the entire length of facilities. Our systems will not only implement the right placement of the product but will incorporate comprehensive safe access procedures allowing safe, compliant and practical use. 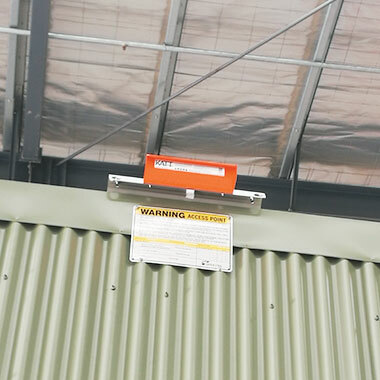 Implementing safety warning signage as a lower form of risk control can save your organisations financial resources. WHAS implement specific instructional measures along with lower forms of control to further enhance the safe access and enable your capital to be used for more critical access areas. 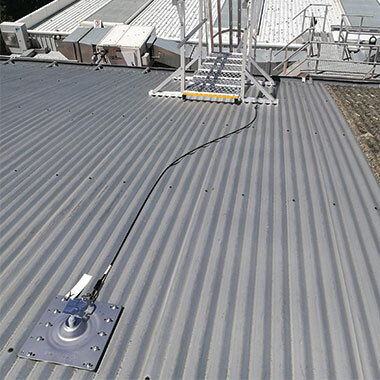 Industrial Rope Access or ABSEIL anchor point systems, their integral design and placement are critical components of safe and functional access to high level risk areas. WHAS work with industry experienced IRATA accredited Rope Technicians to ensure the systems are designed exactly for the intended use. Working Height and Access Solutions have always provided a professional service, from flawless workmanship to a thorough understanding of the standards. 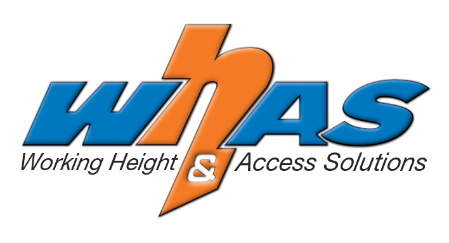 With a business relationship spanning 6 years Active Safety trust WHAS with our Height Safety work & look forward to many more years of associated projects together.